Hollywood hottie Emma Stone, who stars opposite boyfriend Andrew Garfield in director Mark Webb's reboot of the Spiderman film series, arrived at the film's London premiere outside the Odeon Leicester Square. Dressed in a black Ellie Saab jumpsuit with a a dangerously plunging neckline, the actress posed for pictures. The film is set to hit theatres on June 29 in India and July 3 in the US. Stone plays the blonde Gwen Stacy in the film, Peter Parker's first love. 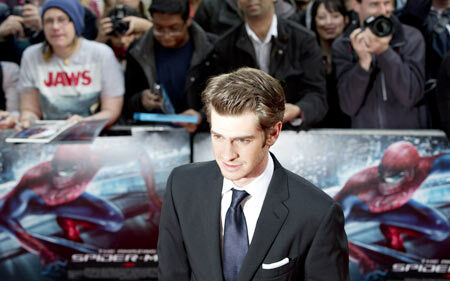 Replacing Tobey Maguire as Peter Parker/Spiderman is the 28-year-old American-English actor Andrew Garfield. 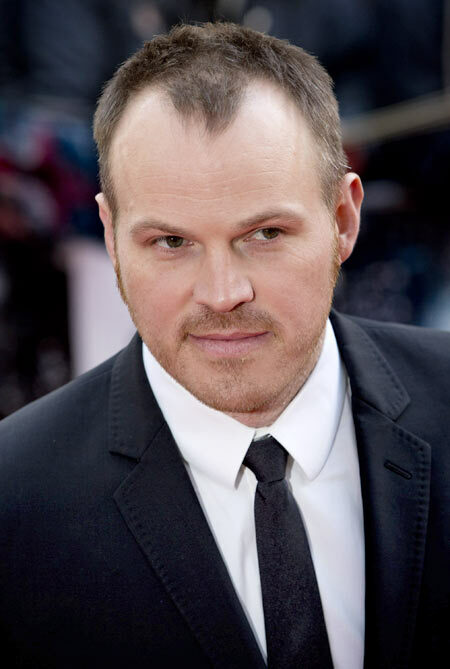 He gained worldwide fame with his role in David Fincher's The Social Network. Welsh actor and musician Rhys Ifans arrived for the premiere with actress girlfriend Anna Freil. Ifans plays Dr Curt Connors/The Lizard in the film. Director Mark Webb arrives for the premiere.